Good quality reservoir, good rigid design. I've got two of these for two different packs. They're hard to beat with the rigid backbone design, maintaining shape as they are emptied, and slipping easily in and out of the hydration pocket. The price is pretty good also, not unreasonable when compared to other big names. I replaced the Nalgene bite valve with a Nalgene quick-disconnect bite valve, allowing me to fill the bladder from the suction hose using the existing quick-connect parts that came with the Katadyn Hiker Pro. This bladder is probably a few ounces heavier than other bladders without a backbone, but I'm willing to carry the extra weigh for the convenience this one offers. Excellent, durable, and well-constructed bladder. This is an excellent, well-built bladder that seems to be as durable as a hydration reservoir can be. The bite-valve does not leak, there is not an aftertaste, and the wide opening makes filling it up a snap. The backside is constructed with a fairly rigid plastic/nylon spine which keeps the bladder from collapsing, bunching up, or moving while in a pack. At the top, above the lid, is a sturdy plastic handle which allows it to be easily and safely hung in a pack while a small, handy loop, which makes post-use hanging/drying very easy, can be found at the other end. I own an Osprey Viper with a 3 liter bladder, and at first I had the same experience as Wildepirate. Water tasted like plastic. I didn't know if it was the bladder or the tube, but it tasted awful. I did some online research into the problem. I read one article that recommend mixing 1/4 cup of common household baking soda into 2 cups of warm to hot water, and stirring until the baking soda was completely dissolved. Then pour the liquid into the bladder, making sure the drinking tube is entirely filled. This may involve ingesting a little of the liquid as you draw it through the tube, but remember that baking soda was used as an antacid, and is harmless. Try to remove as much air as possible from the bladder before screwing on the cover. Let stand for an hour or so, and then flush multiple times. Voila! All plastic taste was gone. Water tastes as if it was fresh from the tap. Just remember to make sure you have something you can use to keep the bladder open when not in use to prevent mold or mildew from growing. Osprey sells a somewhat pricy kit, but it is important that all surfaces be allowed to air dry.<br><br>I hope this helps someone. There are a ton of bells and whistles on this bladder that would seem to make it a must have and an easy convenient addition to any Osprey pack, but I would like to say that this bladder is only bells and whistles. The handle is cool and great for filling the bladder, also the wide mouth is nice, the rigid back helps it fit so nicely into the pack. The magnet will ruin things though so watch out! The capacity is great, but it will always taste like soap. No matter how many times you wash it, dry it (which drying is irrelevant because it will actually never dry completely) it will taste like soap or whatever you used to wash it. I have tried taking this on many a camp/hike now over the past year and have ended up bumming water off my wife or friends and their Camelbaks. I was deeply disappointed. A must have! I should have bought one a long time ago but never did, but it is a must when hiking for me now. It freezes up bad when it -15F but I don't blame it. Great fitting in the pouch in my Osprey pack minus the weight of the water but to have to not remove my pack every time to get my bottle its totally worth it to leave the house with a full water bladder and start covering ground. I would have paid double once I realized how much I loved it. Do you ever feel that you do not drink enough during your hikes? Is constantly stopping to remove your bottle from your packs side pouch a bit annoying? 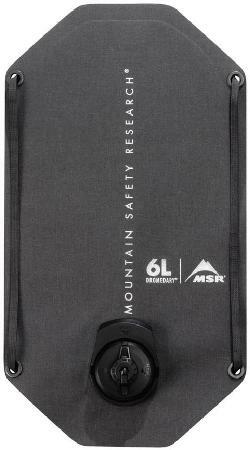 Is your pack space used up by too many water/Gatorade bottles? A hydration pack may be just what you need! I love hiking, and try to hit the trails near my home in Montreal as often as I can. I tend to hike in the Laurentians, Adirondacks and especially the Green Mountains and the fabulous Long Trail. My hikes tend to be between 5 and 10 miles, and I am working up to a few overnighters next season. I love tackling any summit I can, the challenge is rewarded by breathtaking views and an incredible sense of accomplishment. I was looking for a new way to carry my water. I felt I was not hydrating enough as it was a bit of a chore to get my bottles from my side pouches. I am not quite flexible enough to get the bottles with my pack on, so every time I was thirsty I had to stop walking, remove my pack drink and put the pack back on. I browsed the racks at a few stores and saw the options by CamelBak, MSR and the newest offering, the HydraForm by Osprey. The other products looked good, but what drew me to the Osprey is the fact that it was the only one I saw that is rigid. This is a great feature as it lets you easily put it into a loaded pack pretty easily as it doesn't fold up on you. The added benefit is that you can easily use it in a pack without a dedicated reservoir holder and it won't move around too much. I used to have an old Blackburn reservoir system (mid 1990's) for mountain biking, and it was terrible...sometimes I felt as if I had a pack full of wet noodles! The reservoir is available in 2 or 3 liters, and I picked up the 3. I actually recommend this to everyone as you can always put 2 liters in a 3 liter bladder, but you can never put 3 liters in a 2 liter bladder! I always prefer to carry more water than I think I will need anyways... At 2 pounds a liter, the full reservoir adds about 6 lbs to your overall pack weight. The empty bladder is very light, so weight is not an issue. In the field, it is great! As the weight is in the middle of your pack against your back, it does not throw you off balance at all, and I have never been bothered or even noticed any sloshing around in the pack. The hose goes over your left or right shoulder (depending on where your pack's outlet is, mine has one on both sides) and attached to your sternum strap by magnet. It is actually a pretty smart design by Osprey. The bite valve is omni-directional, and can be put into the closed position. At first, I didn't ever close it as I experienced no leaking, but I did so this weekend on Mount Mansfield in Vermont. My pack had a bit more in it that usual and when I bent over I compressed it enough to make a bit of water trickle out from the bite valve. I clean the HydraForm after every hike with either a bit of dish soap and warm water, or Nalgene cleaning tablets. To dry, I hang it upside down and stuff some paper towels into it to absorb any remaining water. I have used the HydraForm around a dozen times now, and am staring to get a bit of the plasticky taste associated with reservoirs. I am starting to suspect that this is unavoidable, and I will have to start filling the reservoir with Gatorade to mask the taste. On one occasion, I filled the reservoir the night before heading out on a hike and put it in the fridge to cool the water down and woke up to find that the pack had leaked and emptied into the fridge. This only happened once and has not happened since, so I suspect that it was user error and not a problem with the reservoir. I only mention it to remind everyone to make sure the cap is properly screwed shut to avoid any on trail accidents. Also, since I started using the reservoir, I always make sure to put my critical gear into SealLine drysacks just in case the bladder happens to leak. My biggest complaint is related to water reservoirs in general, not Osprey's specifically. We need a way to easily tell how much water we have left! I ran out on a hike in high heat/high humidity! I now carry a 500ml Nalgene in the bottom of my pack as a back-up! 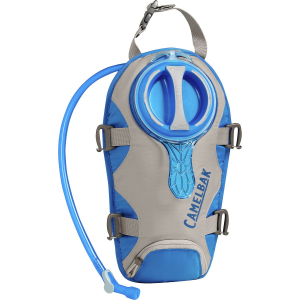 I know CamelBak has something like this available, but it still isn't perfect. Over-all, I find the Osprey HydraForm to be an asset, I cannot imagine hiking without it! Hopefully you found this review helpful! 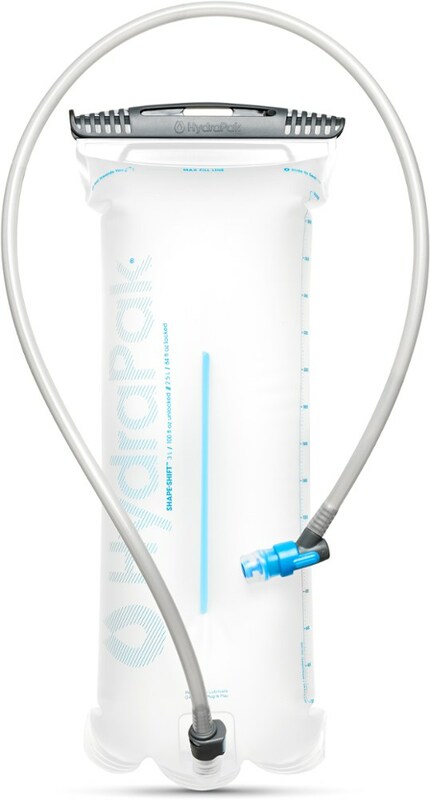 The Hydraform 3 Liter Reservoir has been discontinued. It was replaced by the Osprey Hydraulics 2L Reservoir. 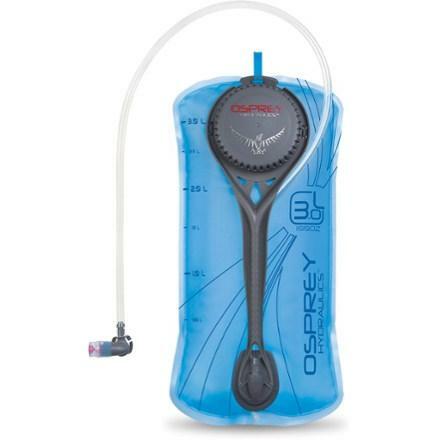 The Osprey Hydraform 3 Liter Reservoir is not available from the stores we monitor. It was last seen October 31, 2015	at REI.